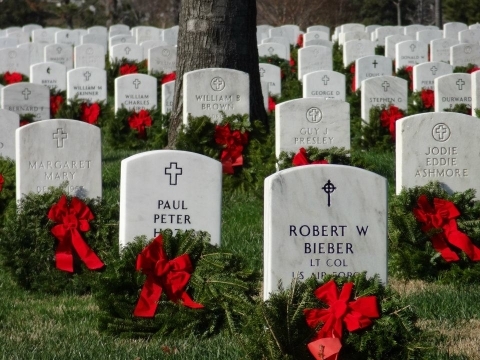 Every December, every year, the crowds keep getting bigger as the Wreaths Across America ceremony spreads and becomes more well-known. Here in Seattle, it was celebrated for the fifth time on 13 December 2014, at the Veterans’ Memorial Cemetery at Evergreen-Washelli. The prime sponsor of the local event is Navy Wives Clubs of America #277, led by Lorraine Zimmerman. The 1st Corps Command Honor Guard performed Color Guard duties. 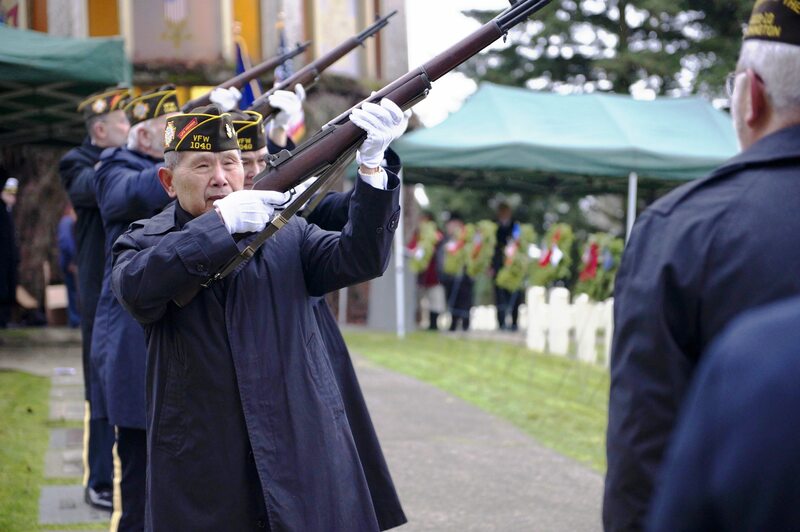 For the fifth year in a row, the Honor Guard of VFW Post 1040 in Lynnwood furnished the rifle team and bugler for the rifle salute and bugle calls, “Assembly” and “Taps,” and as you know, I’m 1040’s Post Bugler. I’ve posted two other articles in this blog about this annual event (see my posts of 12/16/2011 and 1/9/2013). This ceremony has its roots in the patriotic experience of the owner of the Worcester Wreath Company of Harrington, Maine, in 1992, when he and others took some surplus wreaths to be laid at selected tombstones, including the Tomb of the Unknown Soldier, at Arlington National Cemetery in Virginia. 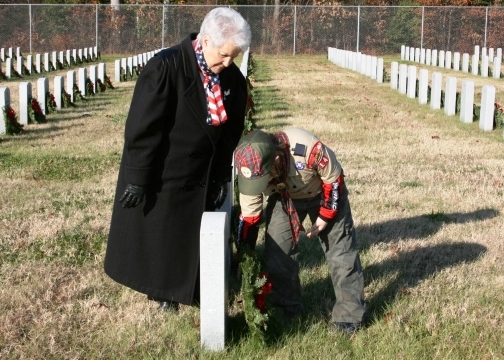 At the third website in the list below, you can read the history of how this ceremony has spread nationwide since 2007, when the non-profit organization, Wreaths Across America (WAA), was formed. 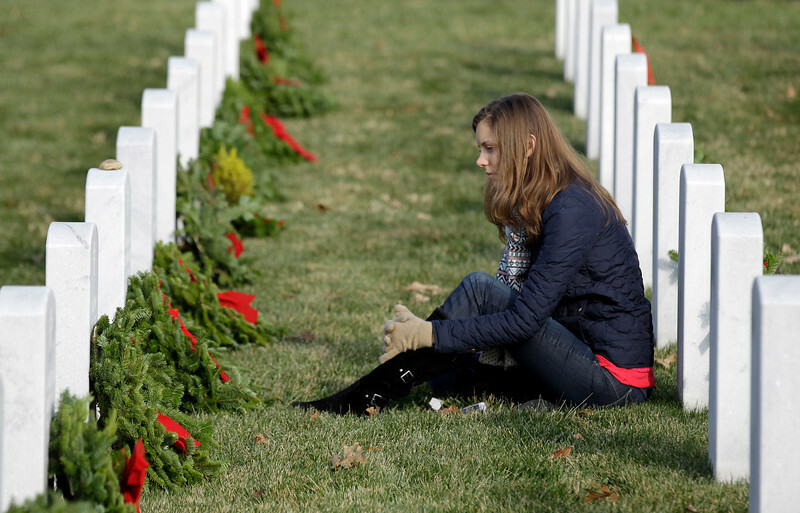 In 2010, WAA and its national network of volunteers laid more than 220,000 memorial wreaths at 545 locations in the USA and beyond. 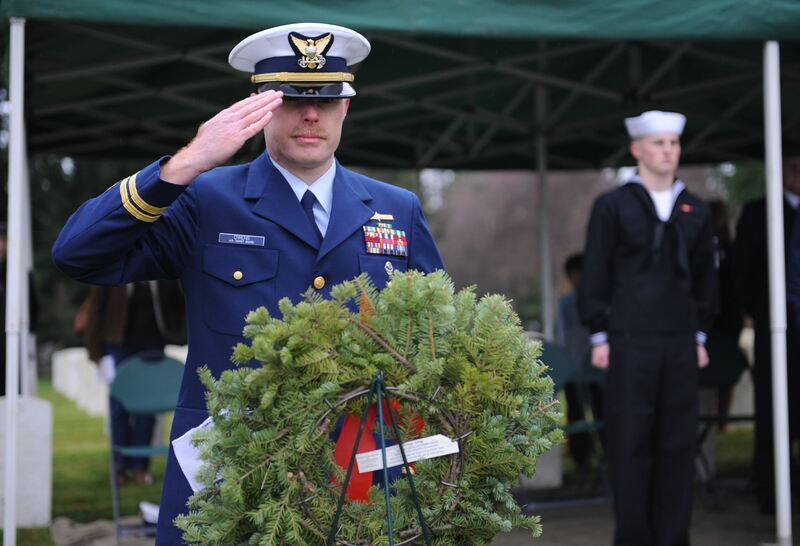 One year later, Navy Wives Club #277 joined that group of volunteers in bringing the ceremony to Evergreen-Washelli and Seattle.